This entry was posted in Australian literature, Australian Women Writers 2012 Challenge, Australian Women's Writing, Book reviews, Historians, Uncategorized. Bookmark the permalink. Very good… it makes me want to read the book. I have not yet done my second book post… have to do another short project first. 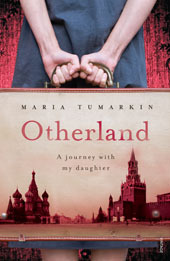 Otherland sounds fascinating. Thanks for the great review. Actually I just realised that I’ve only read one Australian Women’s Writer this year. Perhaps I should sign up too? Perhaps you should! The year is but young! I would have thought that I easily read 50/50 male/female Australian writers, and was surprised and rather disturbed that I certainly didn’t. I haven’t heard of this book or the author. It sounds really interesting, and I’m always swayed by you giving something a 9. 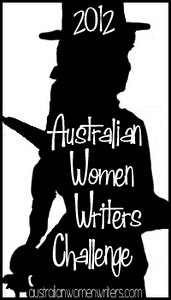 Great to see lots of people signing up for the Australian Women Writers Challenge. I went to the home page and there are 289 people signed up for it! No wonder I’m seeing it everywhere. Great to see.